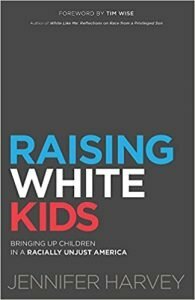 Purchase ‘Raising White Kids: Bringing Up Children in a Racially Unjust America’ by Jennifer Harvey. RSVP “Going” to our facebook event and then share the event with your friends. Meet us at Advent Coworking* on Sunday, March 4 at 2pm, ready to discuss chapters 1 – 4. Meet us at Advent Coworking* on Sunday, April 8 at 2pm, ready to discuss chapters 5 – conclusion. Join us on facebook for our LIVE interview with author, Jennifer Harvey, on Monday April 9 at 8:30pm (EST). *If you are not able to attend the Advent Coworking face-to-face workshops, please feel free to participate in our supplemental online discussions leading up to the facebook LIVE interview with Jennifer Harvey.